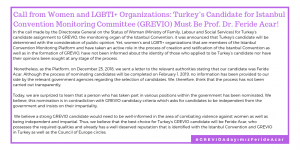 Call from Women and LGBTI+ Organizations: Turkey’s Candidate for Istanbul Convention Monitoring Committee (GREVIO) Must Be Prof. Dr. Feride Acar! 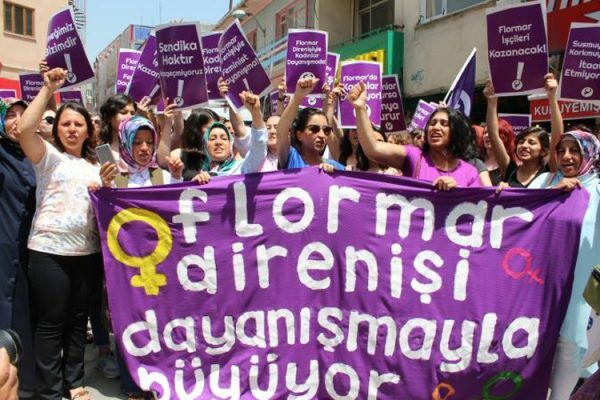 In the call made by the Directorate General on the Status of Woman (Ministry of Family, Labour and Social Services) for Turkey’s candidate assignment to GREVIO, the monitoring organ of the Istanbul Convention, it was announced that Turkey’s candidate will be determined with the consideration of public opinion. 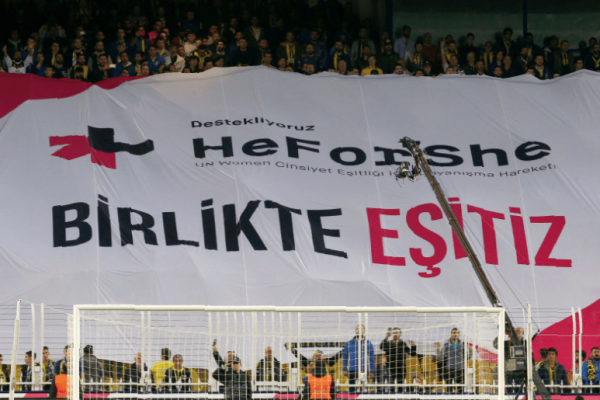 Yet, women’s and LGBTI+ organizations that are members of the Istanbul Convention Monitoring Platform and have taken an active role in the process of creation and ratification of the Istanbul Convention as well as in the formation of GREVIO, have not been informed about the identity of those who applied to be Turkey’s candidate nor have their opinions been sought at any stage of the process. Nonetheless, as the Platform, on December 25, 2018, we sent a letter to the relevant authorities stating that our candidate was Feride Acar. Although the process of nominating candidates will be completed on February 1, 2019, no information has been provided to our side by the relevant government agencies regarding the selection of ca didates. We, therefore, think that the process has not been carried out transparently. Today, we are surprized to learn that a person who has taken part in various positions within the government has been nominated. We believe, this nomination is in contradiction with GREVIO candidacy criteria which asks for candidates to be independent from the government and insists on their impartiality. 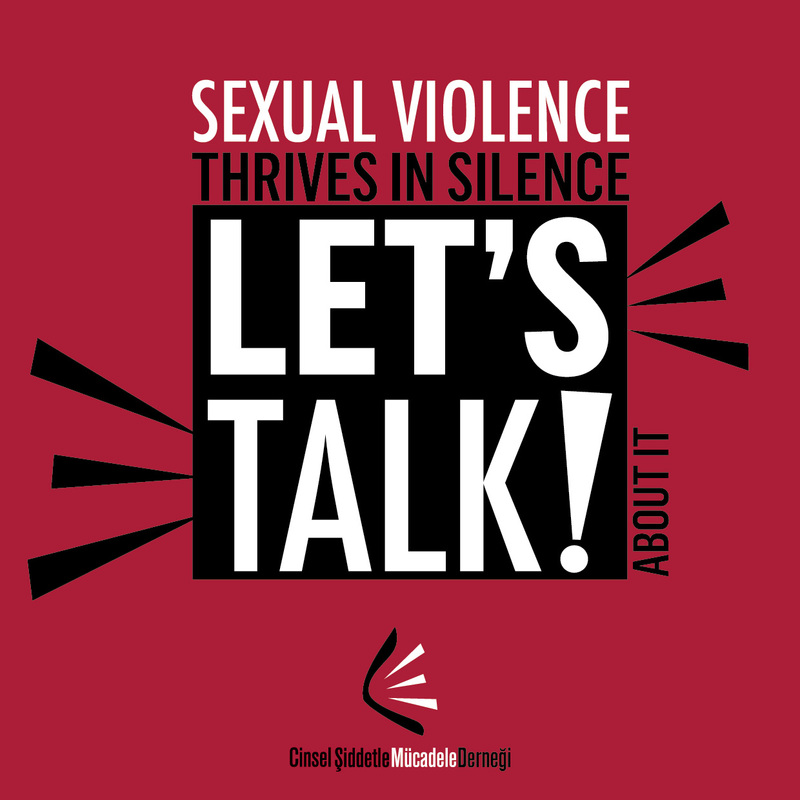 We believe a strong GREVIO candidate would need to be well-informed in the area of combating violence against women as well as being independent and impartial. 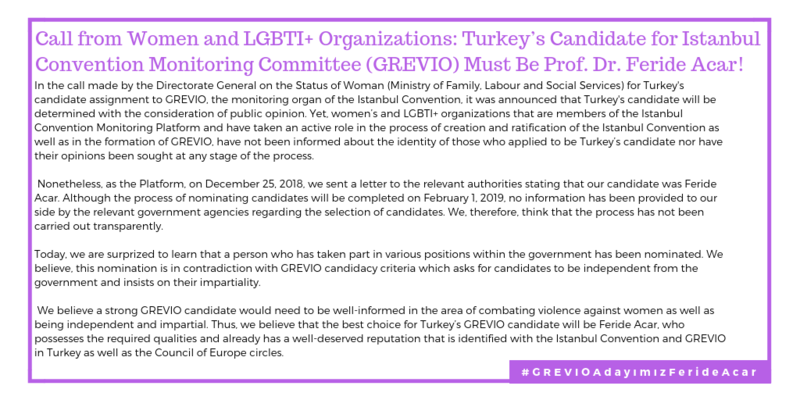 Thus, we believe that the best choice for Turkey’s GREVIO candidate will be Feride Acar, who possesses the required qualities and already has a well-deserved reputation that is identified with the Istanbul Convention and GREVIO in Turkey as well as the Council of Europe circles. As the Platform, we repeat once again, that our candidate is Feride Acar, who has the qualifications indicated in Article 66 and other articles of the Convention and who is the current President of GREVIO! Prof.Dr. Feride Acar is the best candidate to increase the visibility and implementation of the Istanbul Convention, throughout Europe and beyond which is critical for combating violence against women globally. Additionally we believe the continuation of the mandates of the current members of the GREVIO, which is the monitoring mechanism of a new convention, will help to ensure that the Istanbul Convention is effectively implemented by states. 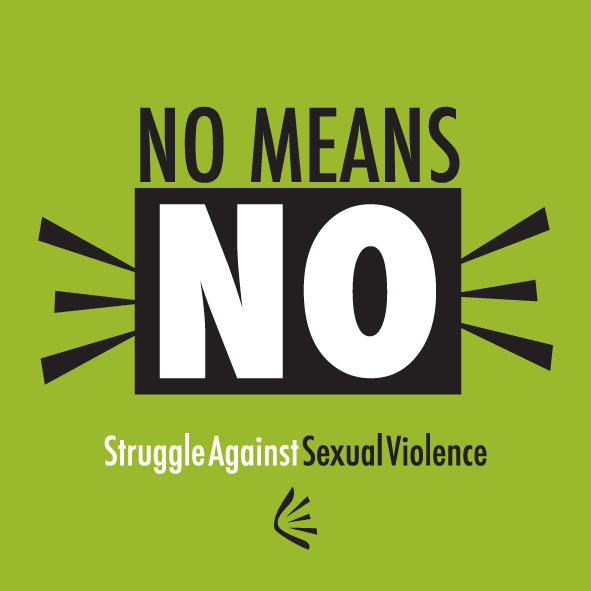 As the monitoring process of the Istanbul Convention is still of being consolidated, it is critical that an expert, as Feride Acar, whose knowledge and experience in this area, also recognised by the international community, should be allowed to continue the constructive role she has carried out from the very beginning of the Istanbul Convention process. of her professional and personal characteristics (having been named among esteemed academics and the most influential persons in the area of gender policy in 2018). State parties should seek to nominate more than one candidate to GREVIO, as explicitly recommended in Article 9 of the Convention in order to ensure this body has the best possible composition of members. Despite this recommendation, we find the nomination of a single name by Turkey problematic also in regard to relations with the Istanbul Convention and its monitoring board. 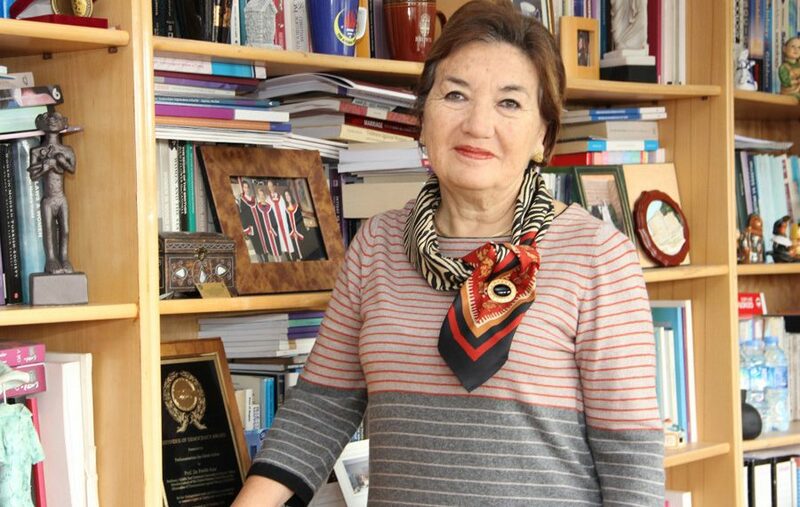 Moreover, we think it is outrageous that Feride Acar, who has a unique expertise and long-time experience with the Istanbul Convention, has been presiding over GREVIO, the most important regional mechanisms on combating violence against women in Europe, since its inception is not nominated even as a candidate to GREVIO by Turkey. 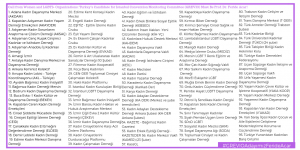 We demand that this error be corrected as soon as possible and Feride Acar to be indicated to the Council of Europe as one of the Turkey’s candidates until February 1, 2019.